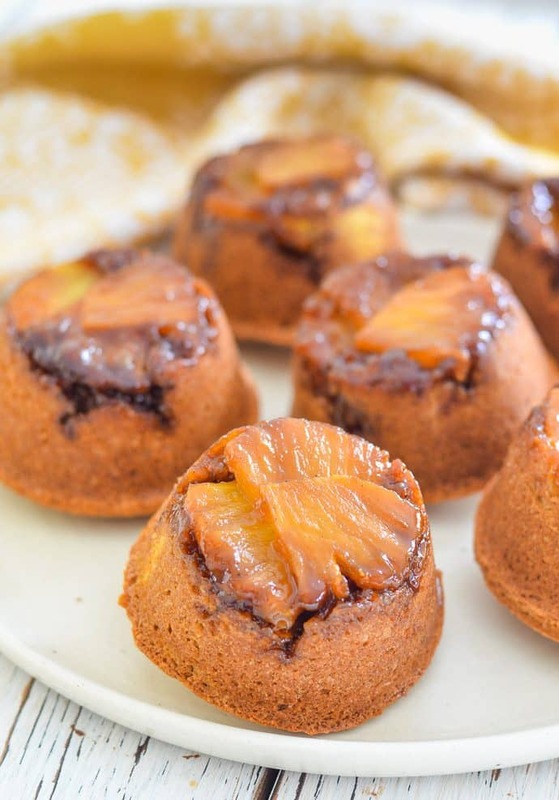 Healthier Pineapple Upside Down Cupcakes that taste amazing. 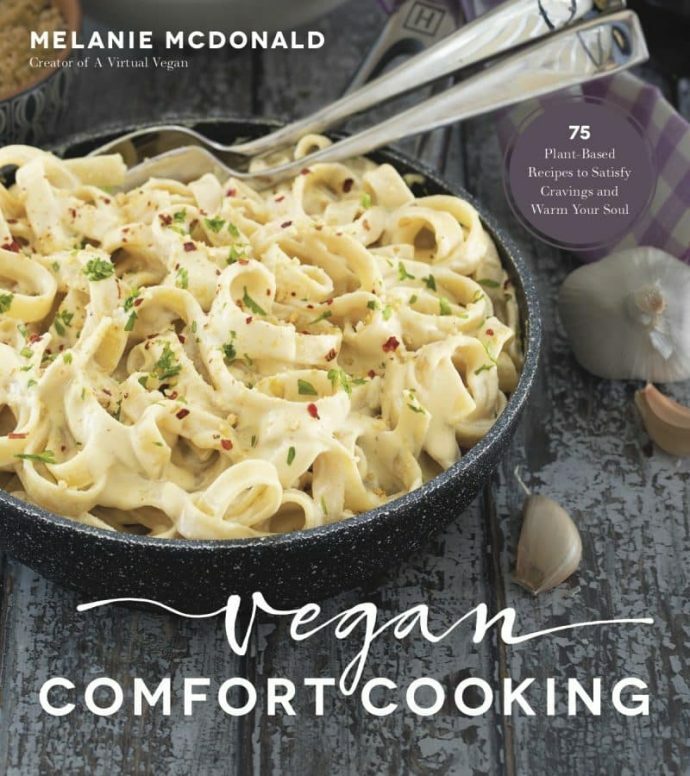 Made with hearty, healthy ingredients like oats, coconut & pineapple and NO oil or flour so they are vegan, gluten-free & oil-free. There is absolutely no way anyone would ever know though. 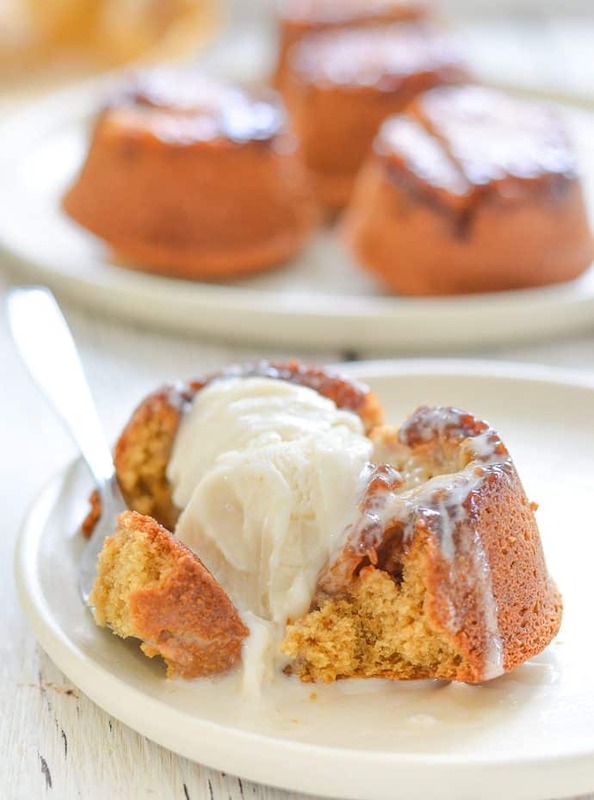 Perfect eaten as they are but even better served warm with a big dollop of ice-cream! *drools* Be prepared for your world to be turned up side down when you bake yourself up some of these Pineapple Upside Down Cupcakes. I had no idea they would be so good when I threw them together as a first practice for a full on cake. You see, when I am making a new cake recipe, I often start off by just making a few muffins or cupcakes. That way, if it all goes terribly wrong, I don’t waste too many ingredients. And if it all goes right, all I have to do is scale it up and adjust the cooking time. But, nothing got wasted the first time I made these. That first batch was hoovered up in no time. Always a good sign. 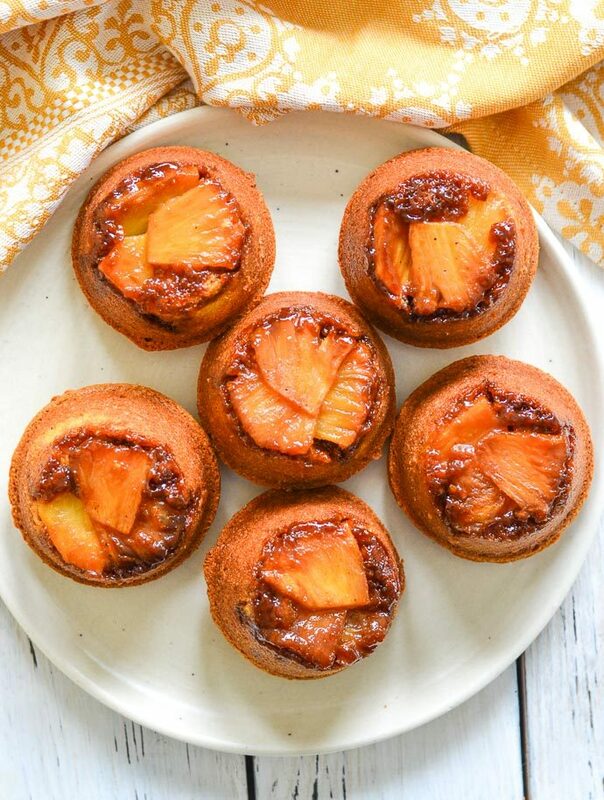 Pineapple Upside Down Cake has been a popular reader request and I did try to bring it to you, but these cute little cupcakes were way too nice to forget about. So I’m sorry (but not sorry) that you don’t have cake. These more than make up for it and I will get to the full-on cake version eventually and you have cupcakes to keep you happy in the meantime. I think that’s fair. Say what?? Just look at that ???? OK well I might be a bit, but mostly I mean me. If there is anything remotely like dessert in the house then I’m having it and ain’t nobody gonna stop me. That one was demolished all in the name of creating a great photo. I did not get overcome halfway through photographing it and dive right in. Or did I? You will never know ???? OK. Let me start by telling you that you are going to need a blender. If you do not have a blender see the section below titled “WHAT IF I DON’T HAVE A BLENDER“. Grease a muffin pan with a little oil if it needs it. 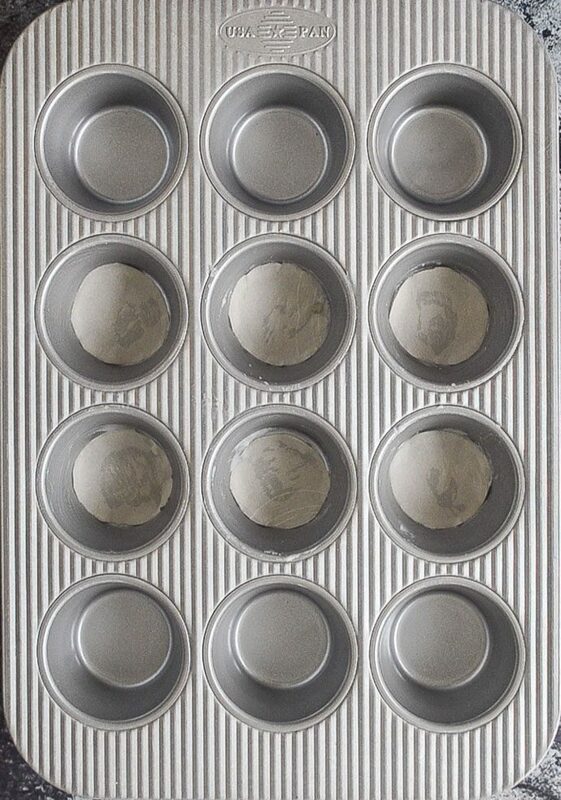 I use this USA Pan Muffin Pan. I have had it for ages and it still looks perfectly new and muffins slide out without any oil at all. 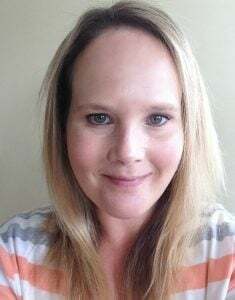 I only used oil in my step by step photos and video because I know a lot of you will need to grease your pans and I didn’t want you to forget. Once greased, pop a circle of parchment paper in the bottom of each. I used the bottom of one of the muffin holes on the pan as a rather awkward and hard to draw around circle template, but once you’ve got one done you can then use that to draw around to get the rest. You might even have a ramekin, lid, jar or glass that is a similar size that you can use. Put a teaspoon of coconut sugar in each muffin hole. Put some pineapple slices on top of the coconut sugar. The juice from this, along with the sugar is what what makes the yummy, caramel-y top! Then all there is left to do is to turn them out. Please note – They are amazing eaten while still warm from the oven! WHAT IF I DONT HAVE A BLENDER? A good food processor will probably be ok to use at a push. You know your machine. If it can’t blend pineapple up smooth, or make oat flour from oats then it won’t work for this recipe. But, if you don’t have a food processor or a blender, as long as you can get your pineapple pureed up somehow, maybe with a stick blender or the really intensive route of using a pestle and mortar ??? ?and you buy ready made oat flour you will get by just fine mixing these Pineapple Upside Down Cupcakes up by hand. Using a blender is what makes these cupcakes really easy peasy though. Literally everything goes in there. You pulverize. Done. I love blender recipes! If you do use a food processor (or a less powerful blender) it’s probably best if you grind up the oats into flour first rather than just throwing everything in at once. It will make it easier for your blender to handle and it won’t have to work so hard. If you do need to make your own oat flour it’s really easy and much cheaper than buying it ready made from the store. Generally you get the same volume of oat flour as you do the amount of whole oats you started with. So use 1½ cups of oats and you will get 1½ cups of flour (assuming you don’t sieve it – see my notes about that below). Add oats (rolled, quick or steel cut) to a blender and blend on high speed until the oats are a fine powder. 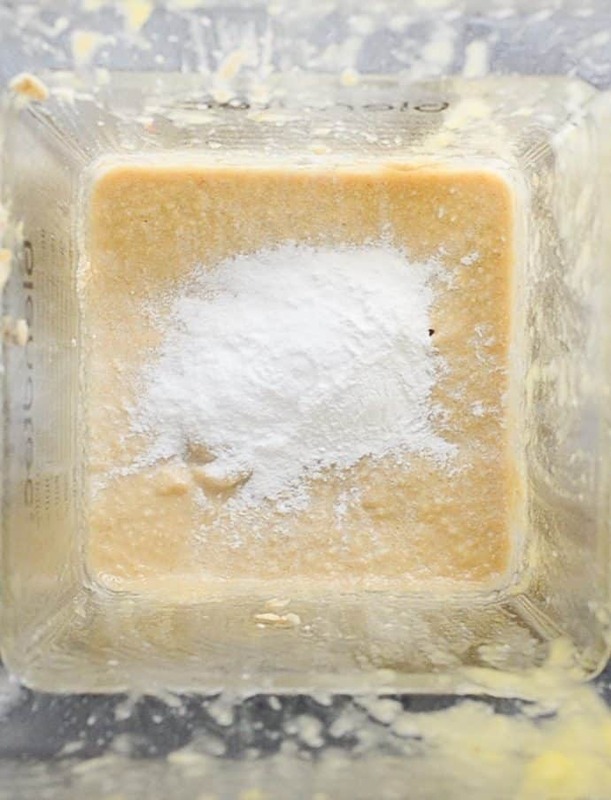 OPTIONAL – Sieve the oat flour and put the fine flour in one container and the larger bits remaining in the sieve in another container. 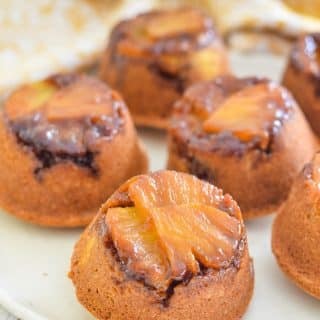 I tend to just use it straight from the blender without sieving and that is absolutely fine when making this Pineapple Upside Down Cupcakes recipe or my Almond Cherry Muffins. 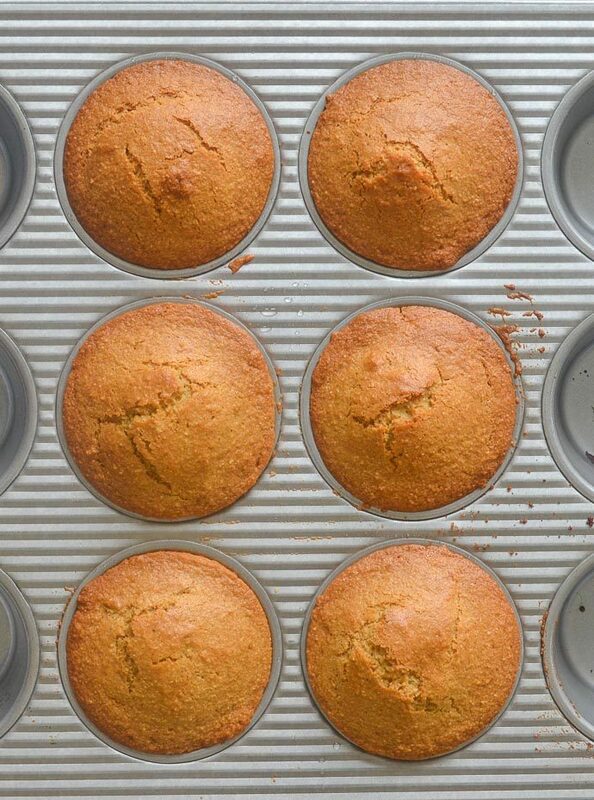 But if you do sieve it first, you will generally get lighter and fluffier results in cakes and muffins. Use up the larger bits in cookies or use it as ‘instant’ oatmeal if you do sieve it. Go get yourself a pretty pineapple and get baking! As with all of my baking recipes where precision is key to excellent results, I highly recommend using a kitchen scale to measure your ingredients, rather than using cup measurements (although I do include both for your convenience). I love this one because it is very reasonably priced and it has a tare function which is really handy. It means you can place any bowl on the scale and reset to zero so it doesn’t include the weight in it’s calculation, plus you can reset to zero when adding multiple ingredients to the same bowl which saves on washing up! 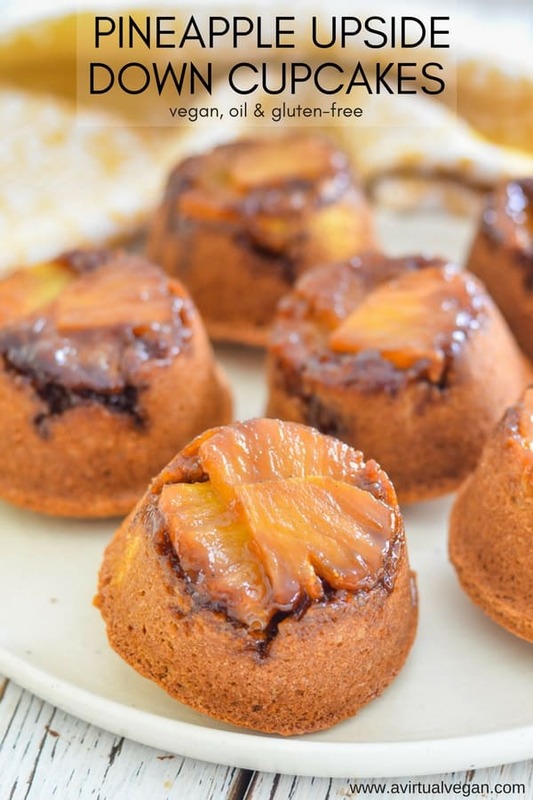 Healthier Pineapple Upside Down Cupcakes that taste amazing. 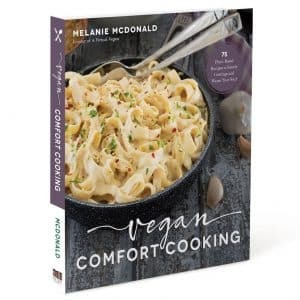 Made with hearty, healthy ingredients like oats, coconut & pineapple and NO oil or flour so they are vegan, gluten-free & oil-free. There is absolutely no way anyone would ever know though! 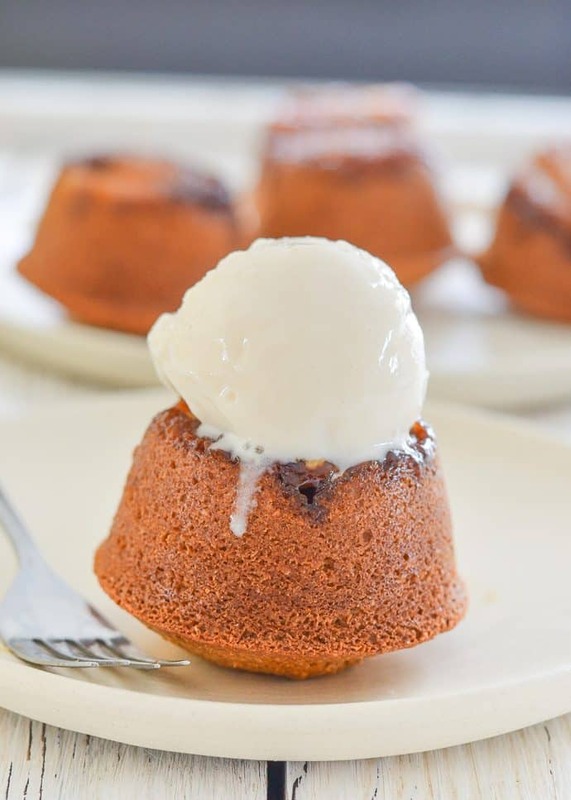 Perfect eaten as they are but even better served warm with a big dollop of ice-cream! 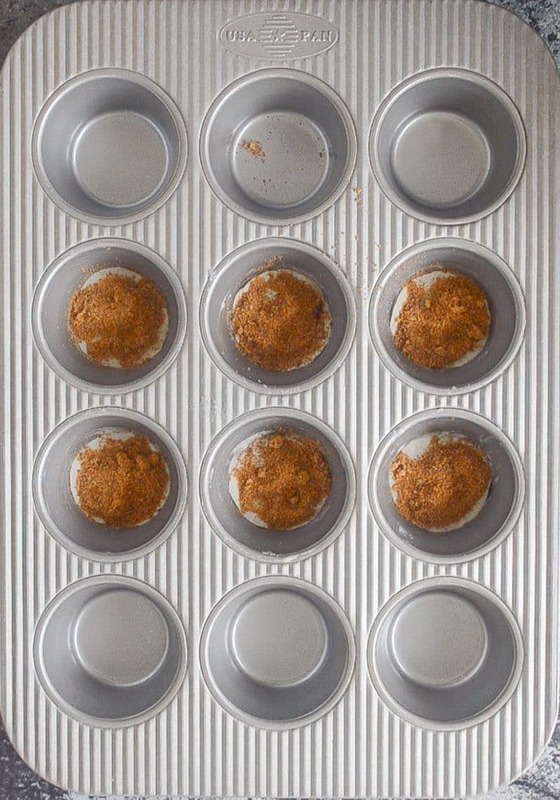 Preheat oven to 425°F and lightly grease 6 holes in a muffin pan. Add a small circle of parchment paper to the bottom of each hole. Spoon 1 teaspoon of coconut sugar into each hole. From the pineapple chunks, slice 18 2-3mm slices and lay 3 pieces on top of the coconut sugar in each hole. Put the rest of the pineapple in a blender and blend until completely smooth. Spoon it out into a ½ cup measure or weigh 110g. You should have just enough. If not you will need to blend a little more up. 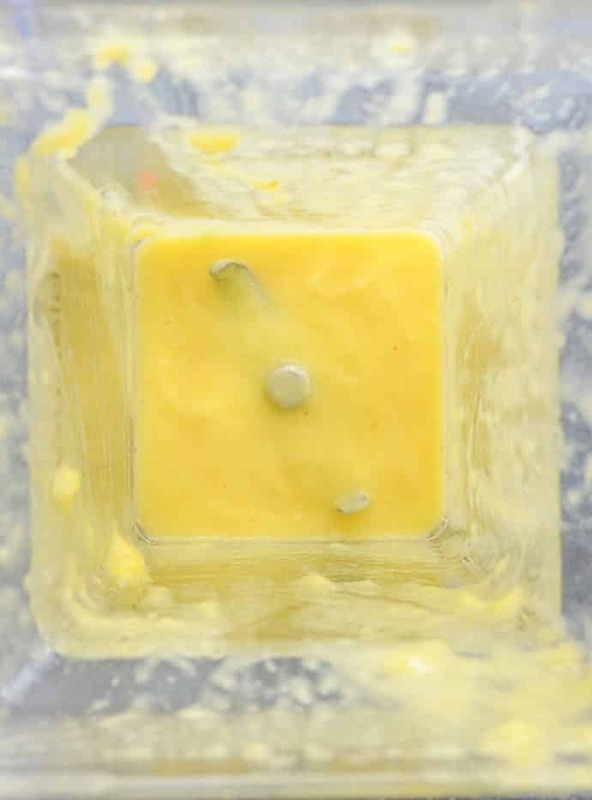 Save any remaining to eat, or add to a smoothie, and return the ½ cup/110g of pineapple puree to the blender. It's important to get the right amount of pineapple puree so don't just eye ball it. 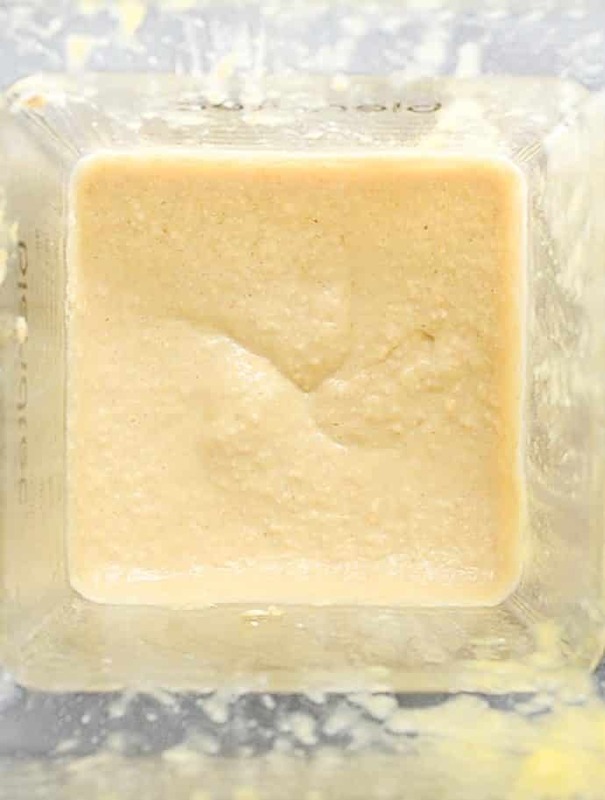 To the pineapple puree in the blender, add the shredded coconut, sugar, oats, salt, vanilla extract, vinegar and milk. Everything EXCEPT the baking powder and soda. Blend until completely smooth. You might need to stop and scrape down some oats that fly up and stick to the sides and top. Then add the baking powder and soda but make sure that your oven is preheated and your pan is ready to go before you do. With all of the acid in the batter it will react quite quickly and you don't want to hang around before putting them in the oven. All of the bubbling action will make lighter cupcakes. So add it and blend it up on high speed for a few seconds then proceed to the next step immediately. 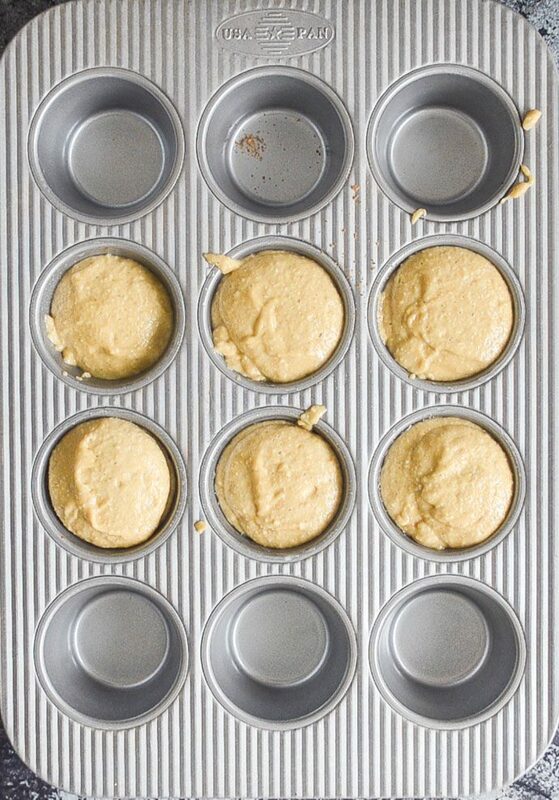 Spoon an even amount of batter into each hole of the muffin pan. I use an ice cream scoop and used 2 scoops per hole, then get them right into the hot oven. Bake for 5 minutes on 425°F then turn the oven down to 375°F and bake for a further 13-15 minutes, or until they are well risen, starting to come away from the sides a bit and a tooth pick inserted comes out clean. Leave in the pan for 5 - 10 minutes then lay a cooling rack face down on top and carefully flip the muffin pan over on to it before lifting the pan gently off. Then pull off the round pieces of parchment paper and either eat them (yay!) or leave them to cool on the rack. 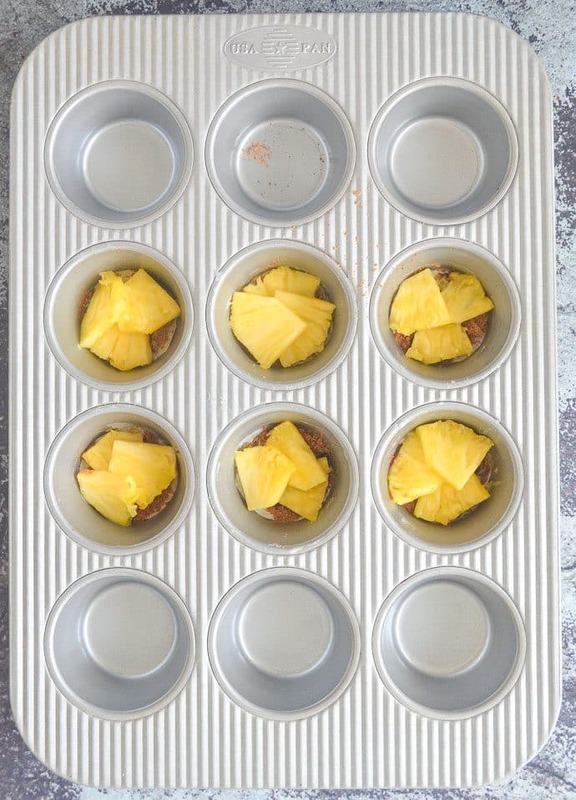 *Fresh pineapple will make tastier cupcakes but canned pineapple is ok to use too. Make sure it is drained really well though. *If you do not have a high powered blender, I recommend that you blend up your oats until they are a fine flour before you start. It will make it easier for your blender to handle and it won't have to work so hard. Best eaten within a couple of days but a quick zap in the microwave for 10-20 seconds gives them a new lease of life after that!